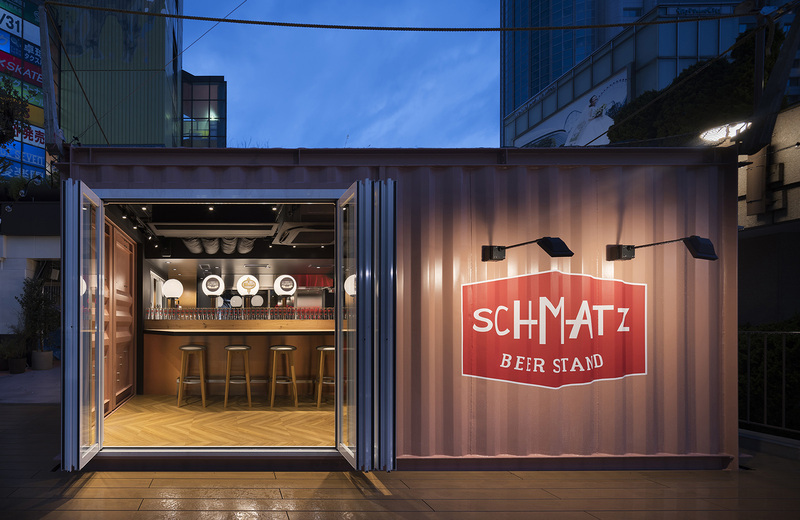 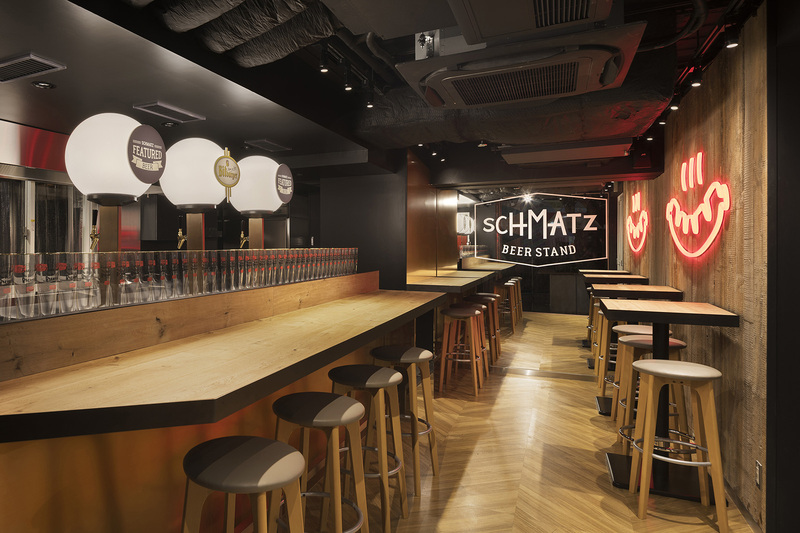 Beer dining restaurant, Tokyo Dome container store for SCHMATZ. 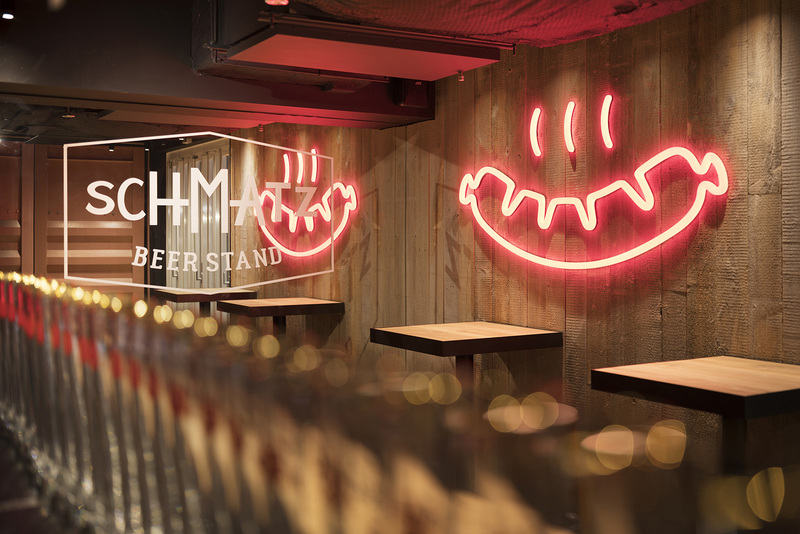 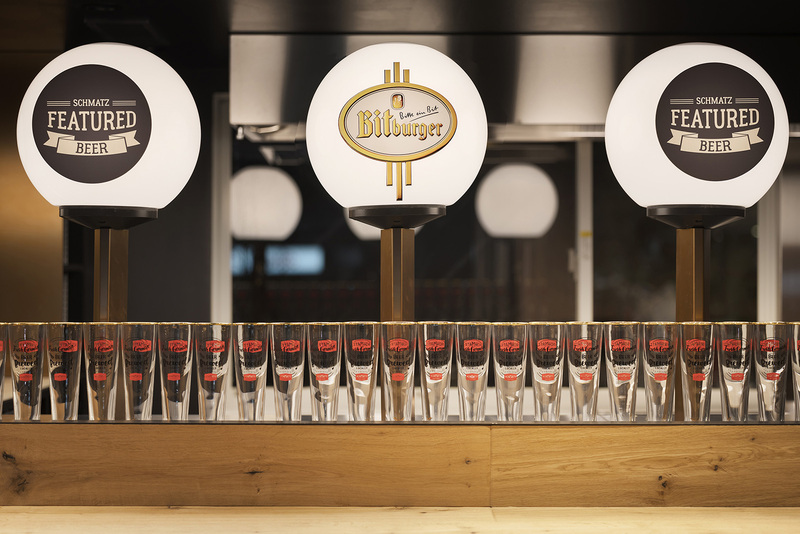 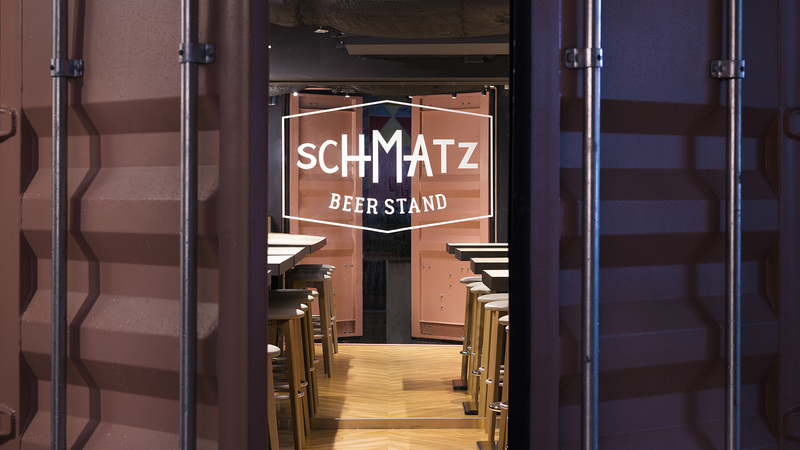 The luminous spherical beer server stands out from the outside of the store and introduces each of the SCHMATZ original beer brands. 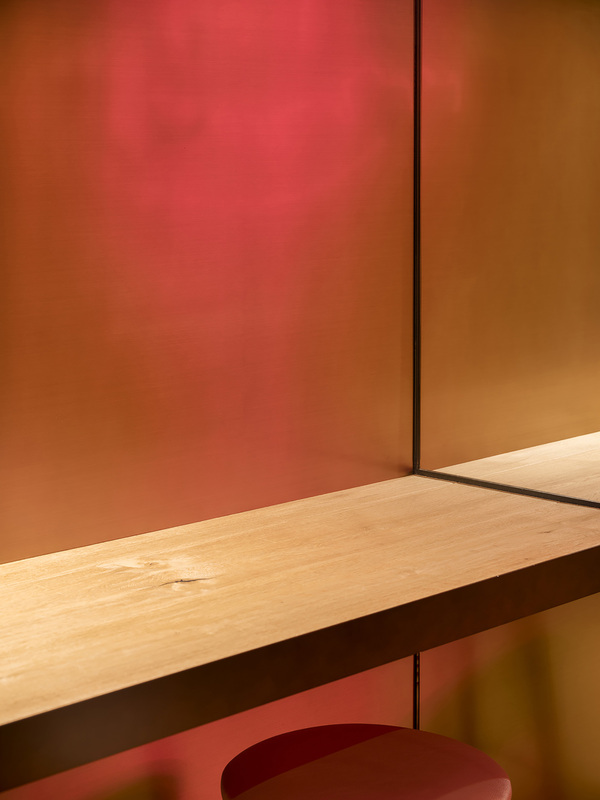 The entire shop is made of solid wood with rich expression while being surrounded by soft light. 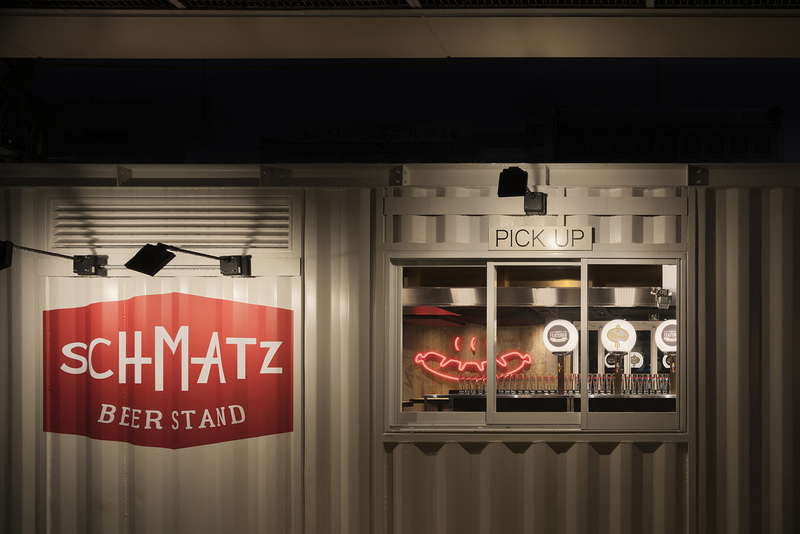 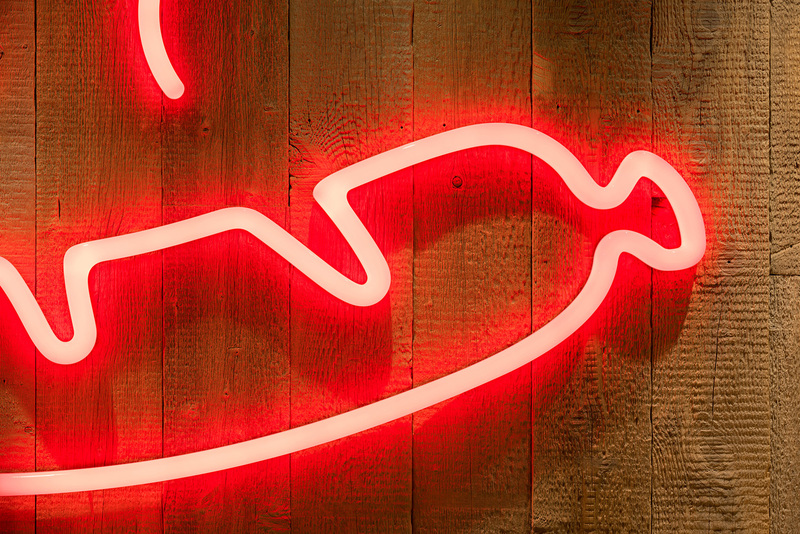 Copper accents surround the interior of the store and neon sign in a shape of a hot dog creates playfulness and enjoyable atmosphere.